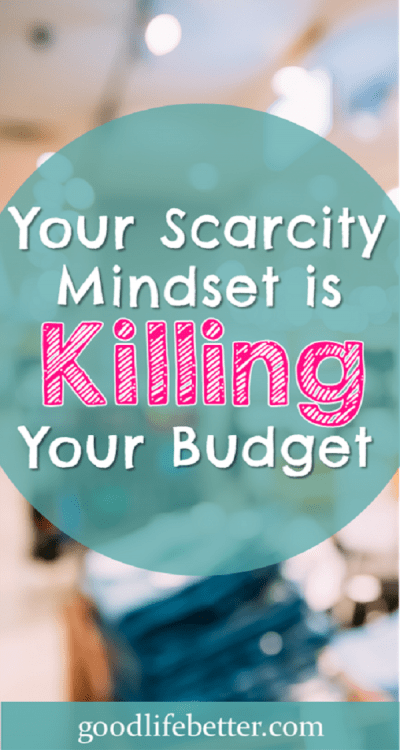 How to Stop Your Scarcity Mindset From Killing Your Budget | Good Life. Better. For the last six months, I have lived three blocks from a Costco. I know some of you read that and immediately became green with envy—three blocks! In my case, proximity has meant two things and two things only. First, in the morning as I’m heading to work I am greeted by the wonderful smell of baking bread (they really do bake bread on site!). And second? I must avoid if at all possible driving on the streets immediately adjacent to the store on Saturdays and Sundays because Costco shoppers are take-no-prisoners kind of drivers. What proximity has not meant is getting a membership. Why? Because I know it’s impossible for me to leave a store like Costco without blowing my budget. This isn’t to accuse Costco—or any other warehouse club—of underhanded sales strategies. In fact, it’s right out in the open, whenever you see a sign that says “limited availability” or “leaving soon.” It’s the strategy of using time or available quantity to create a sense of urgency in the shopper that they must act NOW or miss out. Scarcity is used all the time to sell us stuff, but I think this technique works particularly well at stores like Costco for four reasons. When you put whatever it is in the oversized cart, it’s promptly covered up by an 18-roll package of paper towels so you can’t see what you are buying until it’s time to check out (which is such a chaotic experience that you hand over your credit card without hesitation because you just want to leave). 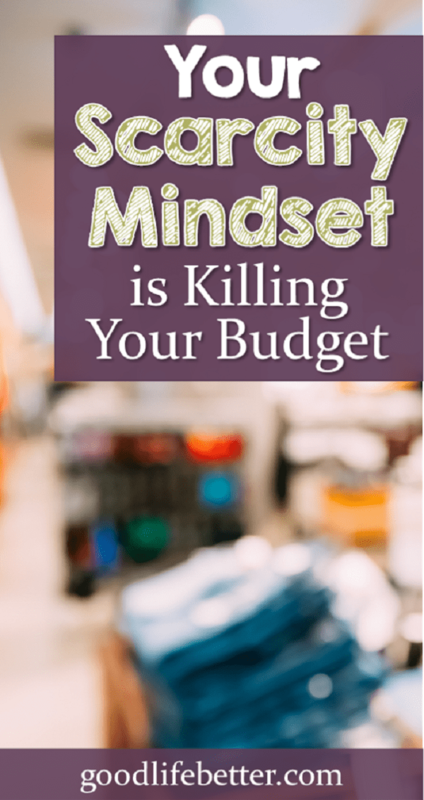 Ultimately, however, scarcity works as a sales tactic—whether you are at Costco or Target or shopping online—because it’s based in fact: quantities are limited and the item could, in fact, be gone tomorrow. This is, I think, why the scarcity sales tactic trips me up: because it’s based in fact. Other than a snake phobia, I tend to take a very rational approach to life. When it comes to purchasing decisions, this means I switch brands all the time and have no problem buying the generic version of a product if it costs less. I am also not particularly loyal to a store. For example, while I like Trader Joe’s and Aldi, if I need toilet paper and it’s easier to swing by Target, I will buy from Target. It’s the rational thing to do. So if a seller convinces me it’s now or never, inevitably a sense of unease comes over me and the internal debate begins. What to do? Buy now or risk not being able to do so in the future? I wait and it is no longer available and there are no substitutes available to purchase (which will likely be frustrating but not lethal). In my 40-something years of life, I can only think of one time when answer #3 was true. When I was in high school the makers of Pop Tarts came out with a peanut-butter and jelly flavored version (with peanut-butter flavored frosting!). They lasted only a short time because, I assume, I was the only person in the country that thought they tasted good. Fortunately, all’s well that ends well: my inability to purchase this product had no affect on the trajectory of my life. This means that the vast majority of the time, the choice isn’t to spend now or go without but to buy this product now for a known price or wait and buy a similar product later for an unknown—but likely similar—price (which only makes sense: in a capitalist society, if there is a market for something, a manufacturer will step in to sell to that market). By re-framing what’s at stake, I have really been able to cut back on my overspending. A good example is a recent purchase of a black cardigan sweater. I wear cardigan sweaters a lot—as noted here, they are a critical part of my work uniform. In the Fall, Kohl’s usually starts selling a long-sleeve, jewel-neck version that I really like and isn’t available in the Spring and Summer months. An errant cat claw resulted in a small but very noticeable hole in the one I had been wearing. It wasn’t my only black cardigan but it was my favorite so I decided to drive to the nearest store to see if they had one on the rack. And they did. They also had one in my size in red and in a few other colors that I didn’t like as much, and they were now marked down to $9 and I had a coupon for 30% off. You can imagine where my mind went at this point: buy them all! If you don’t buy them now you won’t be able too! The price is so low and you have a coupon! You know you like the fit! Who cares if you don’t think you will ever wear the the heather blue colored one that doesn’t go with anything you own? Buy, buy, buy! Fortunately, I was able to take a few deep breaths and think it over. I knew that if I bought one in every color, even at the discounted price, I would be spending more than I had planned and likely buying items I would never wear or wear only occasionally. On the other hand, if I didn’t buy them, they wouldn’t be available again until Fall at which point they would cost more (but would still be priced very affordably). In the end, I bought the black one and the red one. I know I will wear them and together, they costs less than what I would have paid to replace the sweater my cat snagged. Have you struggled with buying too much of something for fear it will be gone at a later date too? What strategies are you using to help you overcome these struggles? Let me know in the comment section below! Oh i so feel you on the buy-all-the-discount-sweaters. I used to be such a sucker for discounted clothing that I ended up with way too many “just okay” pieces of clothing in my closet. 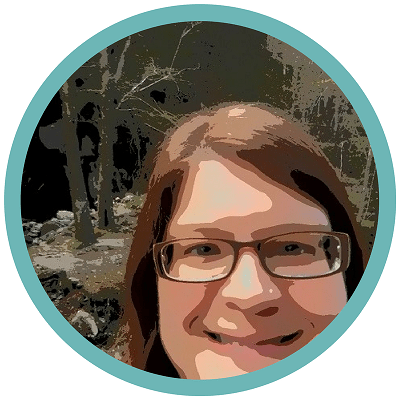 Oh yes–the curse of having too many “meh” things to choose from. 🙂 Thanks for commenting! I had a shopping problem too when it came to good deals, coupons, and such. But I now employ similar tactics to yours. I stop and think it over before I buy to avoid over spending my budget, over stuffing my closet, and buying items I won’t use. I applaud you for winning the battle with yourself. Thank you! As you can probably relate, making the switch takes time and sometimes the frenzy can get the best of you but pausing and really thinking about the consequences is so worth it. Thank you for the comment! 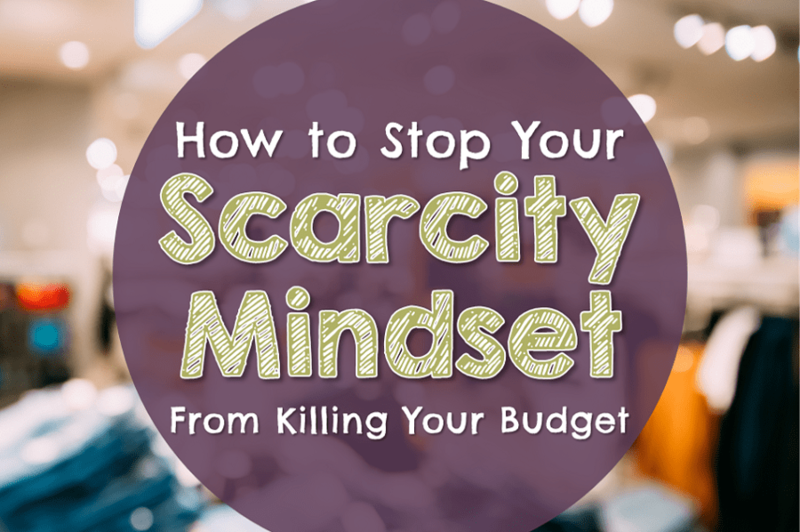 A scarcity mindset is definitely a super powerful marketing tool! I fall victim to it all the time online when shopping on deal sites. I think the best way to avoid it is to simply sit on the decision for a few days and see if it’s still something I want. Agree completely! The online shopping cart is my friend. It makes me feel as if my browsing wasn’t a waste of time and gives me a chance to think before I purchase. Thanks for the comment!